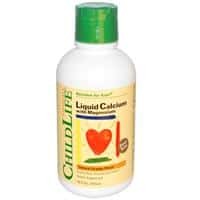 Health Tip: As your child grows and develops, calcium is the most abundant mineral found in their body, (comprising approx. 2% of total body weight), with 99% of the total calcium being found in the bones and teeth. For optimum absorption and utilization studies suggest calcium should be combined with magnesium, vitamin D and zinc. These nutrients help support and establish the very foundation, for your child’s structural growth and integrity.